Randy Maniloff, counsel in the Insurance Coverage and Bad Faith Group, sat down for a talk with ABC News’ chief legal affairs anchor Dan Abrams in his Midtown Manhattan office. 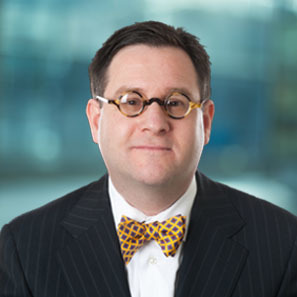 Randy spent an hour with Abrams, discussing a wide range of topics for a piece that was published by Law360. They discussed Abrams’ new book about Abraham Lincoln as a lawyer, his current television projects, including “Live PD,” a ride-along cop show on A&E that has been the #1 rated show on cable television and the use of criminal trials as television programming. Click here for a brief video of Dan Abrams discussing the experience of being interviewed by Randy. You can read the full interview on Law360 (subscription required).